If you are interested in the world of health and fitness, you may well need to be careful about the interactions you are having with trainers and others. We live in a world of ‘where theres a blame, there’s a claim’ and they won’t want to take on the blame for any issues, the best way to deal with it is to be insured. 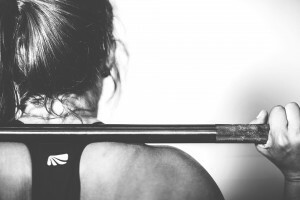 Insurance comes in so many different forms, of course things like cars and houses, but in the world of fitness there are insurances too, to make sure that whatever happens you can be protected. If you join a fitness programme and something should happen, the insurers can help deal with the fallout and get things back on track. If you’re joining on with a fitness programme such as a local group or even with a personal trainer, you may have to sign a fitness liability waiver to ensure you’re taking on the responsibilities and know that whatever happens you’re going to have to deal with, which is where fitness liability insurance comes in. Many activities are strenuous and the gyms aren’t going to take on responsibility. If you’re out exercising with a personal trainer and happen to slip and break a leg, it isn’t going to be the fault of that trainer, and that is why you will likely need to sign a document to make sure you recognise this and it can be used to legally cover the trainer. Ensuring that you have the correct insurance is the way to make sure you’re not going to incur huge costs or inconveniences.